In thisclass you will learn the keys to registration to ensure successful multi-hooping. Our instructor Sharon will walk you through hooping, registration, working on-screen with the design, and planning the whole quilt. A design will be loaded onto your machine for you to try the technique on your own machine with a sample 36" x 36" quilt sandwich . The Book Edge to Edge Quilting is required for this class. Students are required to bring their own machine and embroidery units for class. 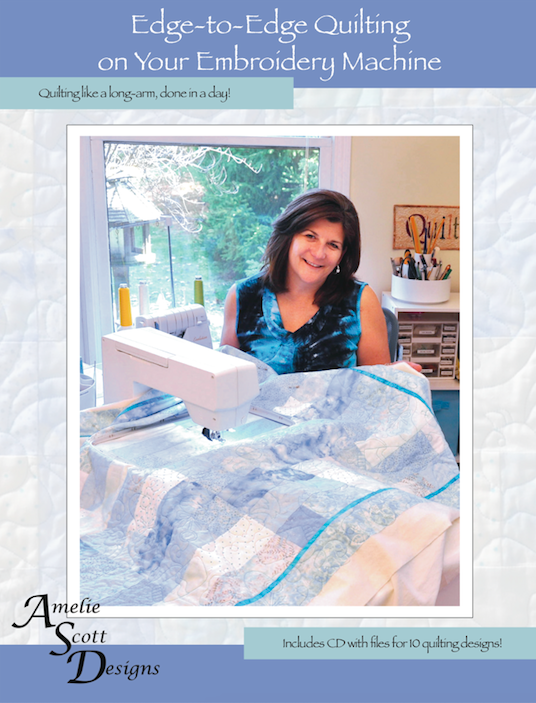 Each student must have a legal copy of Amelie Scott's book Edge to Edge Quilting on Your Embroidery Machine.